Fantastic ground level condo available in a great Roswell location! 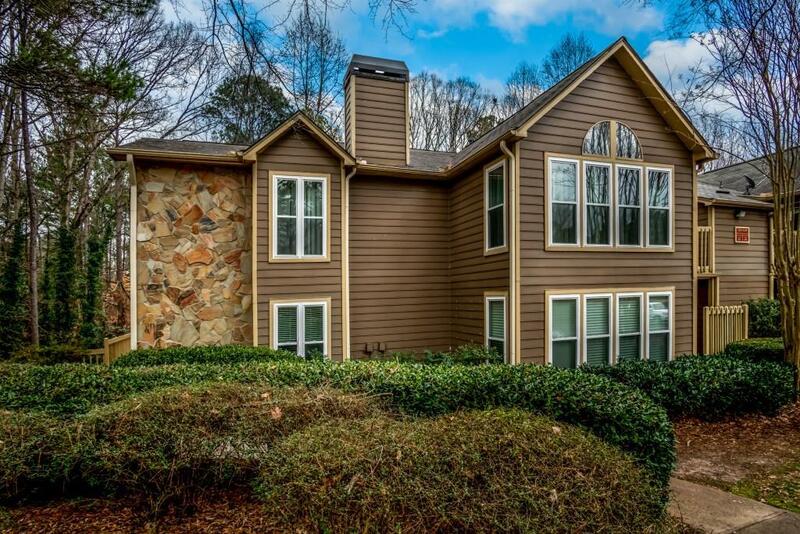 Close to parks, the Chattahoochee river, shopping & dining! Spacious living/dining area with fireplace. Galley style kitchen with NEW granite countertops and backsplash with stainless appliances. NEW Double Pane Windows! NEW Patio Door! NEW Carpet! NEW Water Heater! Too many features to list! Spacious bedrooms with plenty of natural light! Outdoor common space for entertaining along with pool & tennis courts are included in this great neighborhood! Directions: Ga 400 North Exit 7a Holcomb Bridge Road Turn Right.rt-Eves Road.lt-Canyon Point Circle.